Who's ready for a super delicious desert recipe?? 3) When boiling, remove from the heat. 4) Remove the vanilla stick, add the gelatin and stir it quickly. 3) Once boiling, remove from the heat and add the gelatin. Stir it quickly! 4) Add the remain mashed strawberries and mix it together. Let it cool down. 5) Whisk the cream until it gets to a whipped cream. Add it to the strawberry mix. 6) Pour it over the first layer (A). Repeat steps 1, 2 and 3 from B. 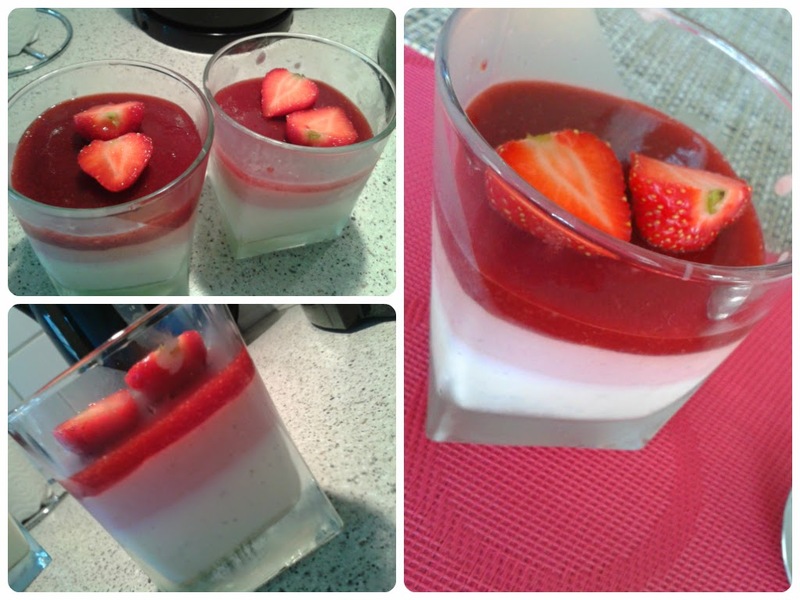 Once the strawberry mousse has a nice firm consistency, add a layer of the strawberry sauce over it and let it cool down in the fridge. Well, all I can say is that this is a great summer desert: fresh, fruity and not too sweet!